Make your money work hard for you… so you don’t have to work hard for money! In 1975 the richest 1% owned 18% of America’s wealth. By the year 2000, the richest 1% owned 40% of America’s wealth. My concern is that this gap represents not only a gross unequality but is dangerous to the stability of a democratic society. We all know that retirement is a problem… but healthcare is a bigger problem. Millions of people – middle class people – cannot afford healthcare for their families. I have often wondered why our schools teach us very little about the subject of money. When I was younger, I was taught that if you gave a man a fish, you fed him for a day. And I was taught that if you taught a man to fish you fed him for life. There are people who want to sell you fish, but not teach you to fish. That is where the word Sell-Fish came from. CASHFLOW game was created to teach people to fish. One of the reasons so many people think that investing is risky is simply that our school systems teach us little or nothing about money. Ironically, due to this lack of financial education, many people put their money in investments they believe are safe. Some of the riskiest investments that most people think are safe are savings, stocks, bonds and mutual funds. Yet, if you do not want to invest time in your financial education, then savings, stocks, bonds and mutual funds are for you. So there are only two things you can invest… one is time into your financial education and the other is money. Why CASHFLOW game was created? 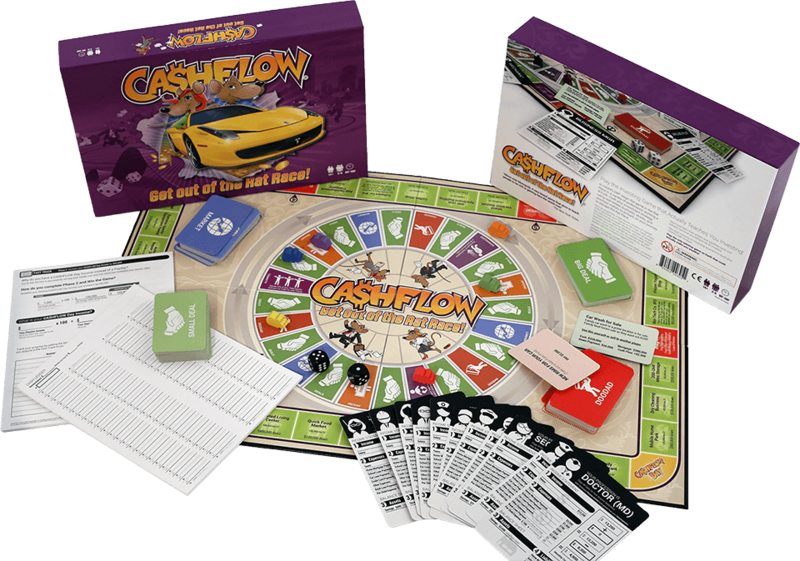 CASHFLOW game was created as a fun and experiential way to teach investing and wealth building. Manage your assets and liabilities, trade stocks and fight your way out of the Rat Race! Battle your way out of the Rat Race by acquiring property, stocks, businesses and precious metals. You’re not just playing against each other; you’re playing against the housing market, the stock market and even Mother Nature. CASHFLOW starts you in a typical 9-to-5 job (that’s not the fun part) and takes you on a journey to build up an arsenal of assets that will propel you into the fast track where real wealth is built (the fun part). Your banker will NEVER ask you for your highschool report card. 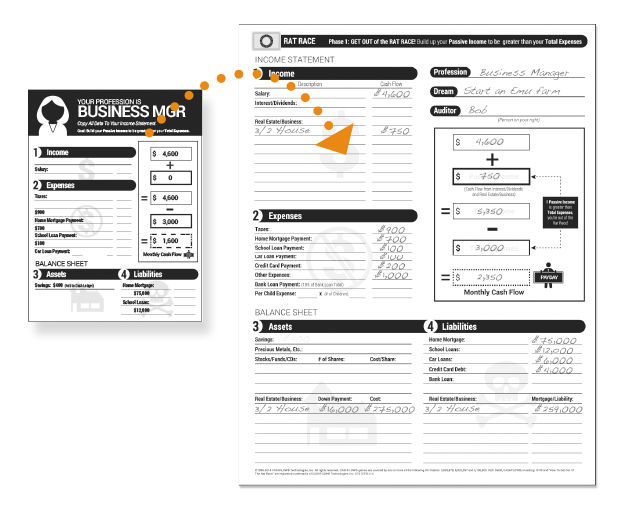 Learn what’s really important in entrepreneurship and investing – your financial statement. Build your assets and build your wealth. Increase your financial IQ and get out of the Rat Race. Gather in groups with a few old friends or a couple of new aquaintances. It doesn’t matter. 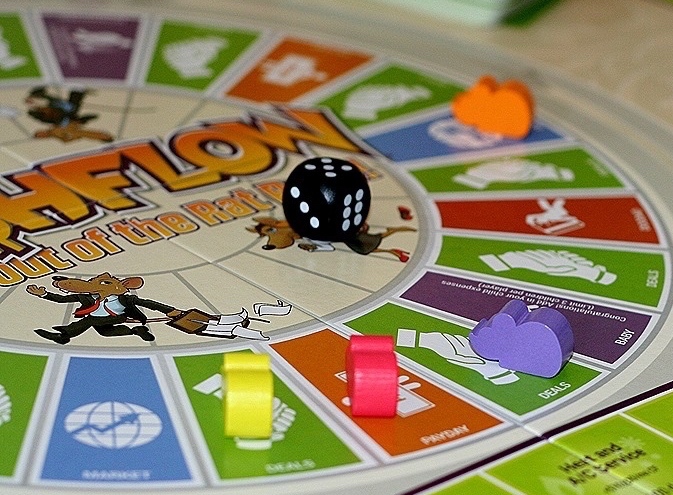 You’ll always remember the first time you played CASHFLOW together. CASHFLOW teaches you the power of earning passive income. The only way to become wealthy is to have multiple streams of passive residual income flowing into your bank accounts. You will learn all this with CASHFLOW. Buy this game and play it often! I highly recommend this game for those who are serious about changing their mindset about obtaining wealth. If you intend to become wealthy then apply the principles you will learn in this game and you will get the desired result. This is a game that will teach you how to operate your finances. If you find yourself in a financial hole – STOP digging! Get CASHFLOW and apply it to your lifestyle. 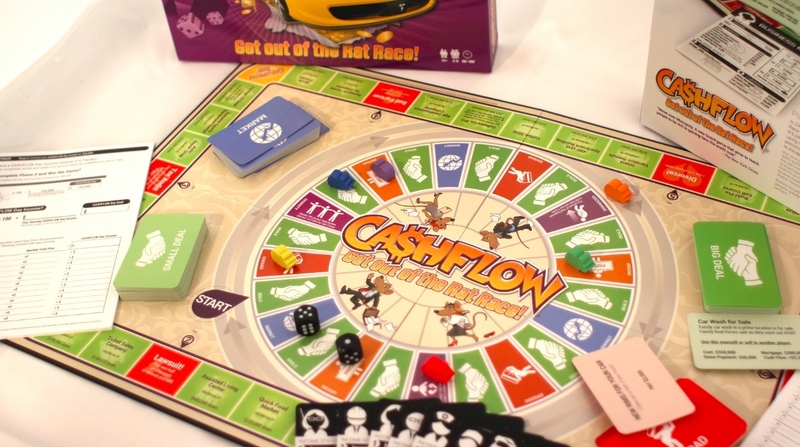 What makes CASHFLOW different from other financial resource games? CASHFLOW not only teaches you how to invest and acquire assets but most importantly how you behave within investing scenarios. You can test out strategies for building wealth you might never try in real life. If you’re a saver, try aggressive investing. If you’re a risk-taker, try slow growth. Win and learn! When we play, that’s the truest example of our real life behavior. Think about your own behavior when you’re in the throws of competition. Do you get reckless when you’re winning or fall apart when you’re losing? 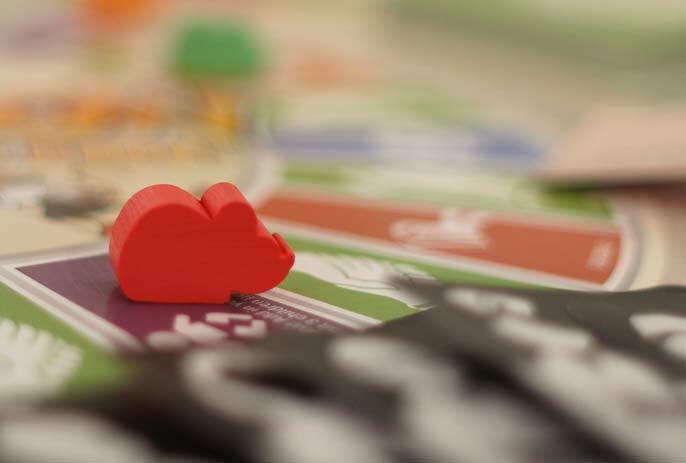 Wouldn’t it be better to learn these lessons on the gameboard than in the real world, with real money – your money. 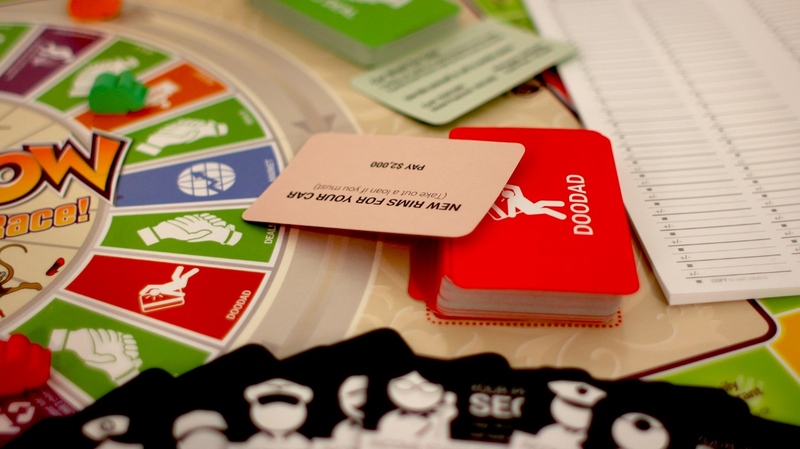 This is a great game for anyone wanting to think more like an investor. You are able to “play” with money and investment opportunities without any risk. You are able to learn so much about yourself. I like to get some friends together, eat a meal, and then spend a couple of hours playing the game. It’s interesting to see how my friends approach financial decisions in the game. If you are looking for a fun way to teach your kids how to invest for cash flow (and not just capital gain), this is it! • more fun and learning than ever! It's time you get out of the Rat Race! The more you play this game, the richer you become. ©2015 Instytut Praktycznej Edukacji All rights reserved.